In a special 18th-century edition, Suzy Klein is live at Kedleston Hall in Derbyshire, featuring guests the Early Opera Company with Christian Curnyn and singer Nancy Kerr. To launch Radio 3's 18th century season, Suzy Klein is live at Kedleston Hall in Derbyshire to celebrate the 18th century way of doing things with guests Christian Curnyn and the Early Opera Company. Kedleston is one of the National Trust's finest 18th Century homes. Built by Robert Adam in the 1760s, it was designed as a showcase for display and entertainment. It was the home of the Curzon family who set out to make a "temple of the arts" - not least a place in which they could pursue their love of music. 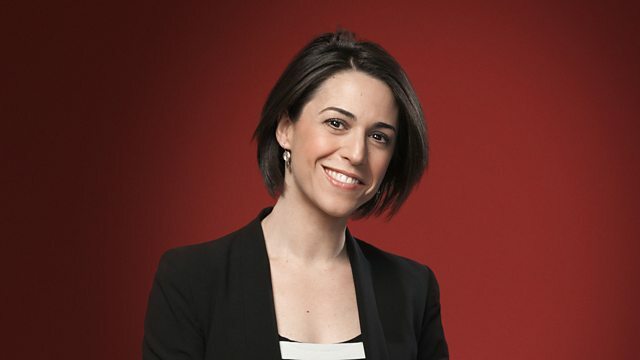 In today's In Tune - broadcast to launch the BBC's "Eighteenth Century Britain: Majesty, Music and Mischief" season - Suzy Klein brings something of that period to life. Given before an invited audience, Suzy is joined by the acclaimed Early Opera Company and their director Christian Curnyn. Other guests include the folk singer Nancy Kerr with some music reflecting the subtle fusion of popular and art music styles from the time, and the baroque ensemble Musica Donum Dei; plus there's a chance to find out more about Kedleston itself - its sumptuous rooms and furnishings, neo-classical architecture, and flamboyant setting. Also in the programme: the start of a series of features in which Sean Rafferty visits the Royal Collection to discover particular delights from their array of Georgian objects. See also: BBC FOUR "The Music That Made Britain: Patriotism, Pleasure and Perfection"
Conductor: Christian Curnyn. Performer: Early Opera Company Orchestra. Performer: Roy Goodman. Performer: The Brandenburg Consort. Conductor: Christian Curnyn. Performer: Sara Stowe. Performer: Early Opera Company Orchestra. Performer: Anner Bylsma. Performer: Hidemi Suzuki. Performer: Jacques Ogg.